One of the much-liked traits of WooCommerce is that you can manage to sell a lot of different product types through it easily. 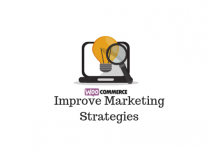 Selling digital downloads in the form of software products or media files is extremely popular in Woocommerce. We have discussed in detail the basics of selling digital downloads in WooCommerce in another article. If you want an introduction to the default product types on WooCommerce, you can find the necessary information here. 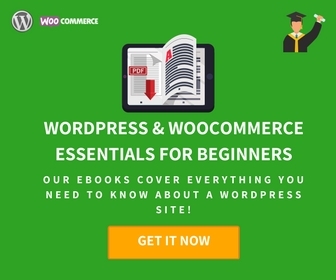 Now, if you are selling software products on your WooCommerce store, you might need some assistance to manage the process. In this article, we will introduce you to a couple of WooCommerce extensions that will help you manage software products more effectively. 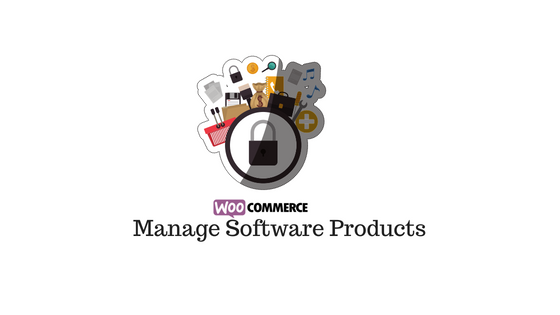 This plugin helps you manage your software products more effectively on your WooCommerce store. Basically, it renders software specific features to all these products, so that you can handle the sales process more smoothly. Sale of software products usually depends on a license key for activation and updates. The assigning and sending of these license keys will be automated by this plugin. First of all, it helps you create a unique product type – software product. On your edit product page, you can tick the checkbox to configure defining properties to your software product. 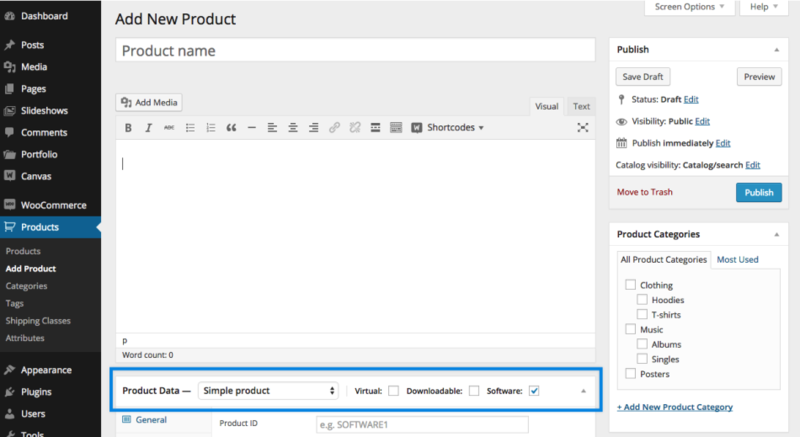 By enabling the checkbox on the product data meta box, you will be able to create a unique product type for software products. Now, you will be able to configure software-specific settings on your product. On the new tab that will be displayed, you can add License key, and an Upgrade option along with a specified price. Once customers complete an order, they will receive order completion email with auto-generated license key. You will also have the control to keep a option to upgrade licenses by providing their old keys. In such cases, you can offer a reduced price as a promotional strategy. In cases, where you need to send the order completion email manually, you can do that from WooCommerce admin in a single click. You can access the license key from WooCommerce > License keys, to view them, or to do a bulk delete if needed. The API that comes with the plugin will help you integrate it to your software product, so that you can easily handle tasks like license activation. The single site subscription of this plugin would cost you $129. The 5-site subscription is $199 and the 25-site subscription is $299. Let’s look at some extra features of this plugin that might prove to be useful. The plugin helps you import license keys for existing orders via a CSV file. Please note you won’t be able to provide license keys for new orders this import tool. Customers will be able to buy multiple copies of the same product, as they will get separate license for each. Customers will be able to recover lost licenses with the help of a shortcode. 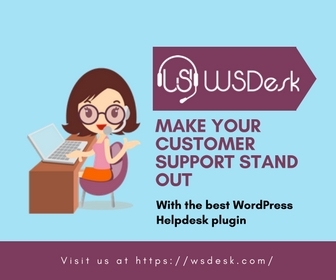 You can combine this plugin with WooCommerce subscriptions plugin to sell the software for an upfront price and then charge a lesser fee for periodic renewals. You will be able to post data to the API to test how it is functioning before actually going live. If you are thinking of a customer-centric system for your software products, WooCommerce API Manager plugin might be really useful for you. With the help of this plugin, you can secure your software products with API key, as well as provide automatic updates. Moreover, if you want functionalities like multi-site licenses and auto-expiry for your software products, this plugin might prove to be quite handy. It gives a lot of flexibility and control to manage software products on your store. The highlight of this plugin is how you will be able to handle multiple scenarios of updates. It helps you offer updates based on a subscription, or based on a specified number of activations. You can also offer free software or ones with unlimited update options. Moreover, along with individual products, you can sell software as bundles, chained, composite or grouped products. The configuration of the plugin is pretty simple too. While creating a product, you need to three checkboxes – virtual, downloadable and API. This plugin helps you supercharge your software product management strategy with flexible and inventive options. Then you can set a file path for the software as well as a price. Adding a price is mandatory for this plugin to work. For free products, you need to enter the price as 0.00. It allows you to provide multiple installation options for customers while selling a single product. This is possible as a single API key would be able to provide options to allow multiple activations that you specify. The plugin is priced at $129 for a single site subscription. The 5-site subscription would cost you $199 and 25-site subscription would cost $299. API key will be generated automatically, and sent to customers via the order completion mail. Software updates can be securely managed through your WordPress dashboard. Moreover, you it is fully integrated with Amazon S3, so that you can provide links that will expire in a specified time. Apart from simple products and all the unique product types that can be achieved with other plugins, you can also create variable products with pricing on a sliding scale. You will be able to sell a single API key, which offer multiple activations for customers. In this option, you can actually provide individually for each variable product. The plugin configures variable and child product automatically and pretty quickly. A lot of options are provided to customers so that they can manage their products more effectively. The ‘My Account’ page provides a comprehensive overview of all the products purchased by the customer. Customers and shop managers will be able to access information like available activations, even those specified by subscription terms. Also. customers can easily handle tasks like deleting an activation for an API key. Moreover, in case customers loses API key, they can regenerate it with their credentials from the frontend of the site. If there is a problem with activation, deactivation or updates, the plugin sends custom error messages to customers. If customers purchase a software products as subscriptions, they will be able to upgrade or downgrade their activations by switching their subscriptions. The download link is specific to API key, customer, order and product specific. Moreover, it hides the real location of the url to ensure a secure environment. It also makes sure only authorized customers are accessing the software, by checking the credentials of each customer. At the development stage, you can make use of the example plugin, theme, and PHP pre-built classes that comes with the plugin. If you are looking to offer multi-site licenses, WooCommerce API Manager is the plugin that you are looking for. On the other hand, if you are focusing only on single site licenses, you can invest in Software Add-ons. If you are selling digital downloads with a one-time payment option, you can easily manage it with the default settings of WooCommerce. However, when you are planning to sell software products with periodic renewal options or multi-site licenses, things can get complicated. In such a scenario, you will need the support of a system that automatically manages aspects like license activations and renewals. Moreover, you might want to give a certain power to customers to handle the products they have purchased. 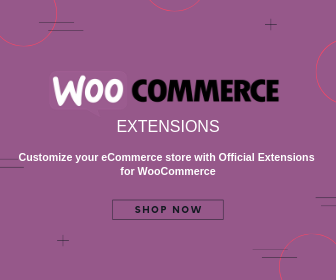 For all the advanced requirements to handle software products, you can make use of the above mentioned awesome extensions of WooCommerce. They will make you job much less complicated, and at the same time make your site more user-friendly. If you are thinking of setting up an elaborate store with multiple software products and license option, these are essential tools. Both these plugins are used by thousands of popular stores. If you are maintaining software products effectively with these two plugins, share with us your specific use case.